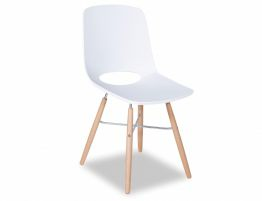 This orange modern dining chair features clear Nordic inspiration with its mix of materials and clean, unadorned form. 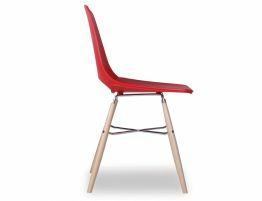 The Wasowsky orange dining chair offers a soft reinterpretation of the classic Eames Eiffel chairs of the MidMod period. A soft, rounded surface makes the seat of this orange kitchen chair a real pleasure. A cutout in the back gives this orange modern dining chair a fresh, airy form. 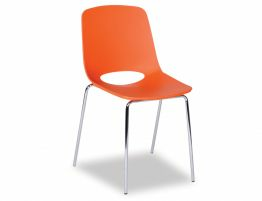 The WASOWSKY orange dining chair is offered in a techno-polymer finish in a host of modern colours. 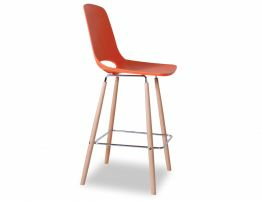 Beechwood legs add a warmth to this polymer chair that balances the overall vibe of this orange cafe chair. 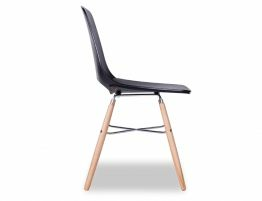 Spanish designers Enrique Del Amo and Angel Marti endeavored to create a bold, fresh chair and the Wasowsky is certainly that. 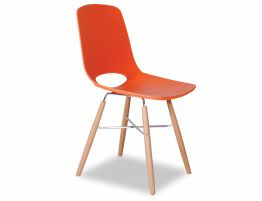 Put these orange modern dining chairs in your mod kitchen, your casual dining room or your busy bright café. These orange dining chairs add something modern and bold to your space.